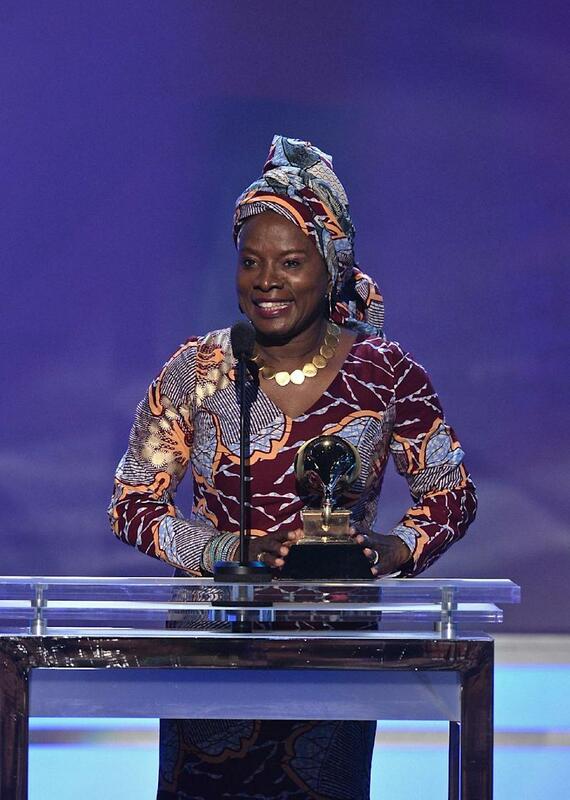 Los Angeles (AFP) - Angelique Kidjo, one of the biggest African musicians on the world stage, on Sunday won her second Grammy for World Music album for "Eve," a tribute to the continent's women. "This album is dedicated to the women of Africa -- to their beauty and resilience," the Beninese singer said. "Women of Africa -- you rock!" "For me, music is a weapon of peace, and today more than ever, as artists we have a role to play in the stability of this world," Kidjo said as she accepted the award at a ceremony in Los Angeles. Kidjo, who is based primarily in New York, returned to Benin for "Eve" and traveled with a recorder, taping the cadences and harmonies of women's choirs. Kidjo previously won a Grammy for her 2007 album "Djin Djin," which also tapped a range of guest artists including guitar legend Carlos Santana and singer Alicia Keys.